Situations like this highlight why Nigeria has not won the war against corruption. 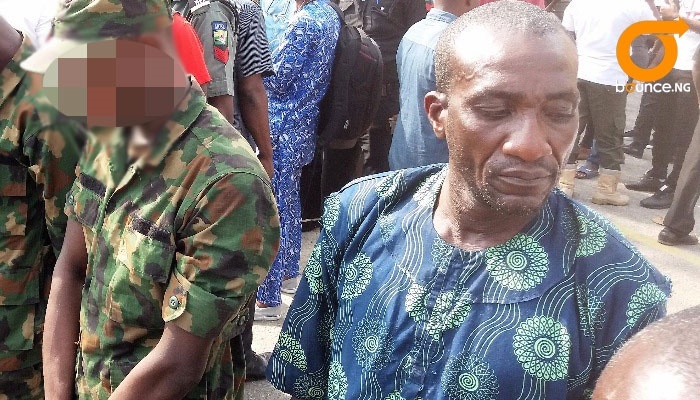 Gideon Oyedele Olawole is a suspected pipeline vandal that steals more than crude oil and refined products, but he is not alone. He has succeeded in roping 4 officials of the Nigerian Air Force, whom he made part of his gang. 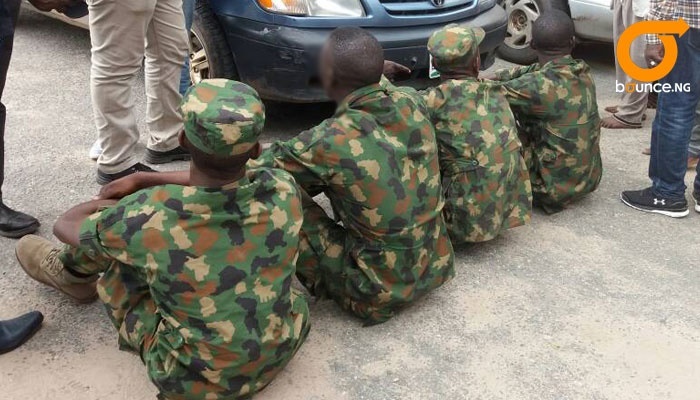 Four of the officials were providing security for Gideon and his men whom the police said were in the process of stealing a pipe belonging to the Nigeria Water Corporation. Gideon and the 4 Air Force officials were paraded at the police headquarters in Ikeja on Monday. He had offered to pay them 35,000 Naira each to provide security while he carries out his criminal act. He had paid them 20,000 Naira upfront and had reached an agreement that the balance would be paid later. Bounce News gathered that the 4 officers recently graduated from training school in July, 2017. The officers, whose names where not on their uniforms, were providing security to persons vandalising public facility. Gideon had planned to sell the pipes for 650,000 Naira, but that plan was not foolproof. The police said the suspects would be charged to court after investigation. DO YOU KNOW EVANS INSISTS THAT HE IS NOT GUILTY?